Fairbanks, AK 99709 craig "...it's a great little dive. My friends took me there and ordered a pizza. I was not expecting much but the Combo with Pineapple and Jalapenos added was off the hook. The crust is incredible. It's a semi deep dish pizza and the flavors are magical. 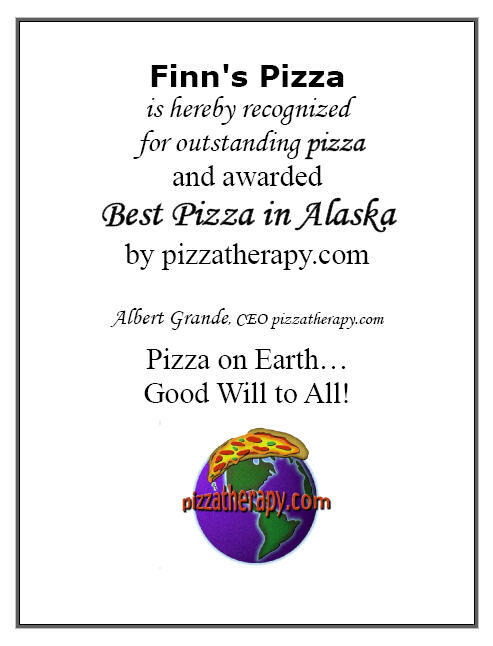 Could not believe it..."
Albert's side bar: This is a great review...next time I'm in Alaska...I'm going to Homer... From the VarmintBites Blog: "Finn’s Pizza in Homer, Alaska is as good as any pizza I’ve had outside of Manhattan and Brooklyn..."Sasha Raupp and Bjorn Larsenuses use "only organic ingredients knows that a light hand is best. And the crust — oh, the crust — he knows how to char the bottom without burning it." bigfarb "...good pizza. 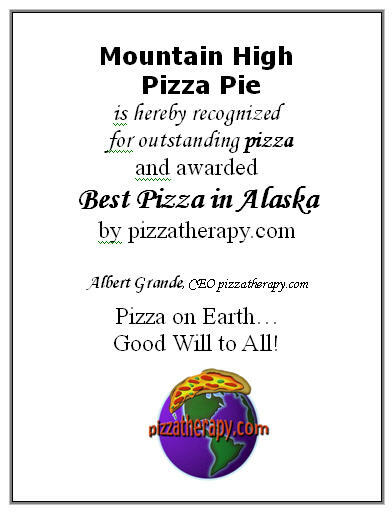 Lots of flavor and lots of grease, like you expect from a good thin crust pepperoni..."
"This pizza is special for lots of reasons but mainly because the crust. Crisp outside, lite inside and the flavor, oooohhhhhhh mama! This guy is really making a great pie. I lived in lower Manhattan for twelve years and pizza is my food of choice. 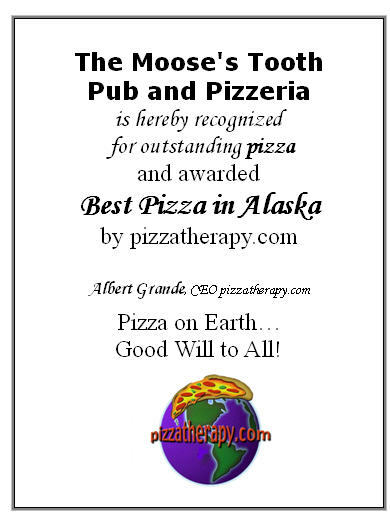 I wanted to stay in Talkeetna the Pie was so good." 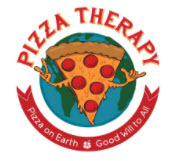 Who Makes The Worlds Best Pizza?